In an effort to provide our clients with cost-effective results that facilitate a successful outcome, Massey, Stotser & Nichols has developed a mediation, arbitration, and appeals practice. 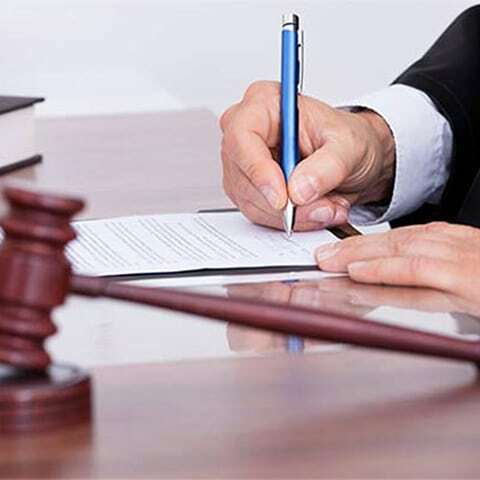 Our attorneys have the experience and understanding with mediation and arbitration so we may offer dispute resolution alternatives to our clients and also serve as arbitrators. In addition, our facility provides a comfortable setting for clients who wish to explore alternative dispute resolution (ADR) methods. Our firm acts as legal counsel for clients who desire mediation and serves as mediators for other attorneys. Contact us to learn more. Mediation is a process through which a resolution is made without taking a case to court. Instead, the disputing parties sit down with a certified mediator, who acts as a liaison and oversees the process, guiding the parties to a resolution of their issues. Mediation gives clients greater control over the outcome of their case, in that they negotiate the terms of the agreement themselves. We serve as mediators and act as legal counsel for clients. Our appellate practice allows us to serve the needs of our clients even after a trial is over. At Massey, Stotser & Nichols, you will find a Birmingham appellate lawyer with appellate experience in all State and Federal Courts. If we accept your case for appeal, we work to ensure your appeal is thoroughly researched, well-prepared, and meticulously argued. We will take your appeal even if we did not handle your original case. At Massey, Stotser & Nichols, we understand the importance of small to medium-sized businesses and the challenges business owners go through to keep them running. We also know that partners can have disputes over operating the business and other affairs. Shareholders may file suits against the company. And the business may suffer setbacks that result in bankruptcy and dissolution. Our business litigation and transactional attorneys are committed to our clients. With more than 30 years of experience, we have the knowledge and legal experience to resolve your case and reach favorable solutions. Whether you seek a lawyer to assist with daily transactions or seek counsel for a partnership dispute, we will handle your case with professionalism. We handle business dispute cases in Birmingham, Alabama, and throughout the Southeast. Contact our office today to learn more about how we can help resolve your case. At the law office of Massey, Stotser & Nichols, we have experienced business litigation attorneys who are not afraid to take your case to court. However, if you seek our services at the early stages of your dispute, we may act as corporate counsel. Using alternative dispute resolution methods, we strive to keep your case out of trial and resolve it through mediation and consultations. DO YOU NEED HELP WITH MEDIATION, ARBITRATION & APPEALS?